Where: Monteverde Cloud Forest in Costa Rica – Take in this cool, high-altitude rainforest (7,500 feet above sea level). 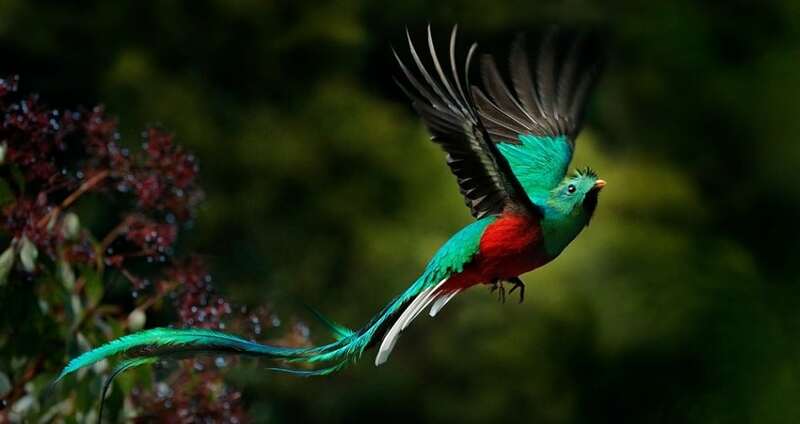 Discover some of the 100 species of mammals (like jaguars and howler monkeys) and over 400 types of birds (including the Quetzal) that thrive in the forest’s variable climate. Enjoy guided treks, horseback-riding, a fun and educational coffee tour, or a night tour to see what the forest’s nocturnal creatures are up to.